Alpha Yachting Greece offers crewed luxury mega yacht charters and Greek island cruise packages in Greece, Croatia, Italy, France, Turkey, Spain and the Mediterranean sea. 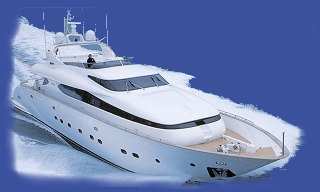 We are proud to offer the best rates in luxury yacht charter in Greece (group and private yacht charter in Greece) to meet all your needs. Our charter yachts are clean, fully equipped and well maintained, our crew members are polite and can help you with all your travel needs, charter a crewed motor yacht, motor sailer, sailing yacht, skippered sail boat, bareboat, catamaran and go sailing from Athens Greece to the Greek Islands of Mykonos, Santorini, Corfu, Rhodes, Lefkada Crete, Zakynthos Greece, enjoy your luxury sailing holidays in Greece.